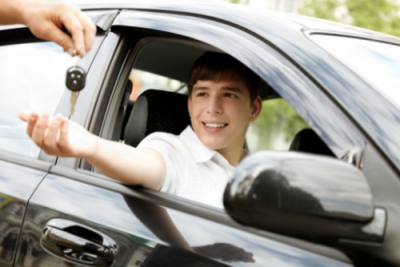 Learner drivers insurance costs can be high but there are some good insurance discounts for learner drivers if you shop around. High costs sometimes cause some people to engage in a practice called 'fronting' with learners and new drivers - the dangers of this are explained below. Also some learners are denied the opportunity to get that all important home practise because their parents are worried about additional premiums or losing their no claims bonus. Taking the second point first - did you know that there are companies that specialise in providing learner drivers insurance - and that you can buy insurance monthly, or even weekly so that your own insurance remains in tact in the event of a claim? So, practise insurance for learner drivers should be a fairly easy problem to solve... Unlike 'fronting'. You are fronting if you insure a car in your name which you are clearly not the main driver of whilst allowing a secondary driver to drive it most of the time. This can be a problem if there is a second car in a family which is used by young people after passing the test - if the kids drive it more than mum and dad then they have to have their own insurance. Insurance companies don't usually investigate whether or not fronting is taking place until after an accident - if they consider that the car is primarily used by a 'secondary' driver they will refuse to pay out and may refer the matter to the police. Parents who knowingly put themselves down as a main driver when it is not true can expect to end up with a criminal record for fraud. Young drivers have more accidents than older people, this is why their insurance premiums are higher - around a third of all collisions are caused by those aged between 17-25 year old. But there are things that you can do to reduce insurance costs - perhaps the first is to choose a car in a low insurance group... This will not always be the super cool wheels that you would like, but it will keep the premiums down so you can afford your dream car when you've built up a couple of years no claim bonus. Often going for third party cover will also save you money - especially if your car is a little older and does not cost a lot to buy or replace. Sometimes you can get a policy with a high excess - the excess is the amount that the driver pays out before an insurance policy kicks in; for example, if you had a £400 excess and made a claim for £600, the insurers would only pay £200 - you pay the excess, the first £400. It's wise to shop around to get your learner driver's insurance - at DriverActive we don't recommend any specific company but the sites shown on this page offer specialist insurance for new drivers and learners with some great deals on offer - they might be a great starting point to help you find a good deal and discount insurance for learner drivers.